In ten years, people will laugh at how low that price is, not how high. 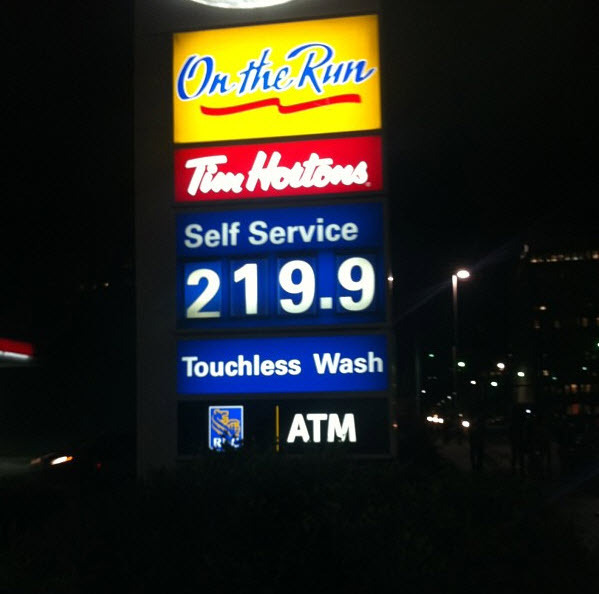 Well, the Esso down the road from me is always 5-10 cents higher than any other station in town. But this seems like overkill. And yes, TomW is likely right. In 10 years I'm going to have a flying electric car. Jetson style. It must be true because I read it in Popular Mechanics.